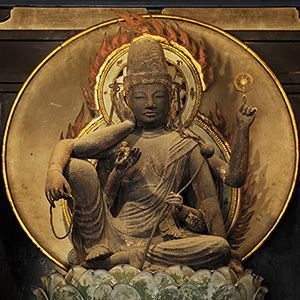 The main object of worship enshrined in Kon-do Hall is Shaka Nyorai, or the Buddha of Enlightenment who was a founder of Buddhism and attained enlightenment. 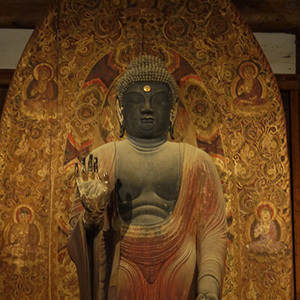 The statue with the meditative expression, made in the 8th century, was originally an old style Healing Buddha. 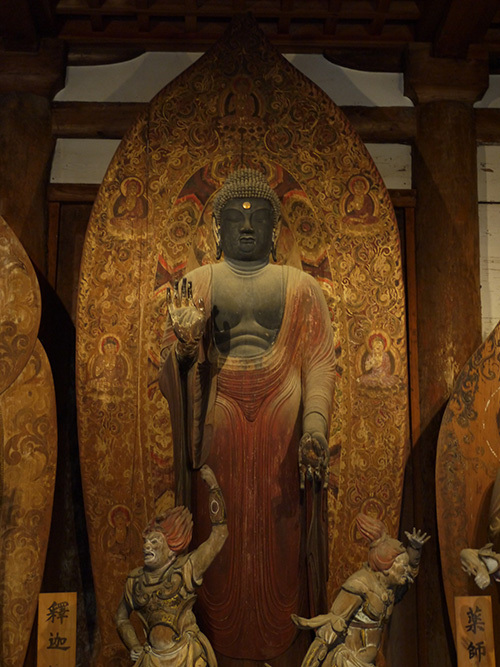 The beautifully painted halo surrounding the statue is also originally from the 8th century. 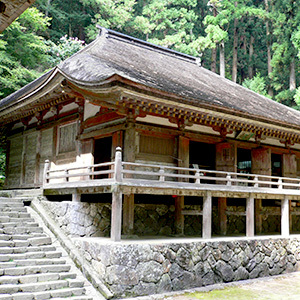 The Kon-do Hall houses the Shaka Nyorai, Twelve Heavenly Generals and other statues. 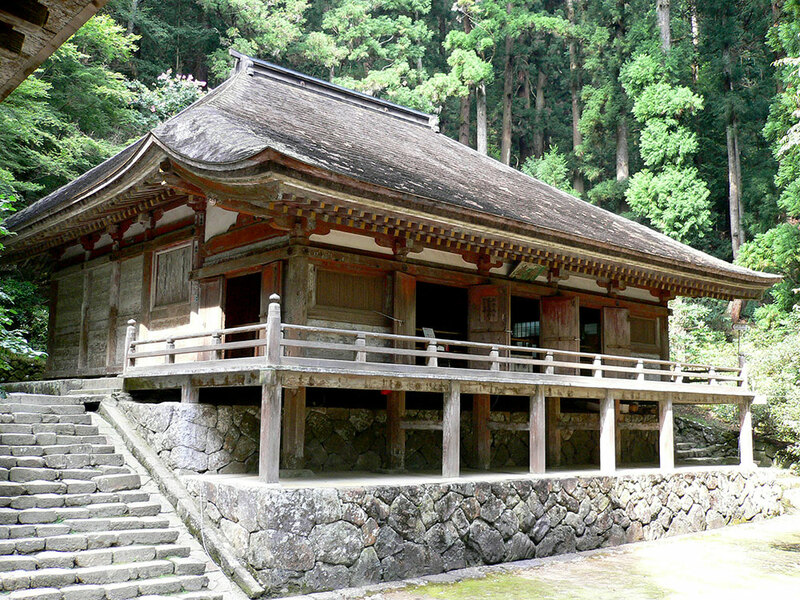 The Kon-do hall, built in the middle of the 9th century, is one of the oldest buildings in this temple. 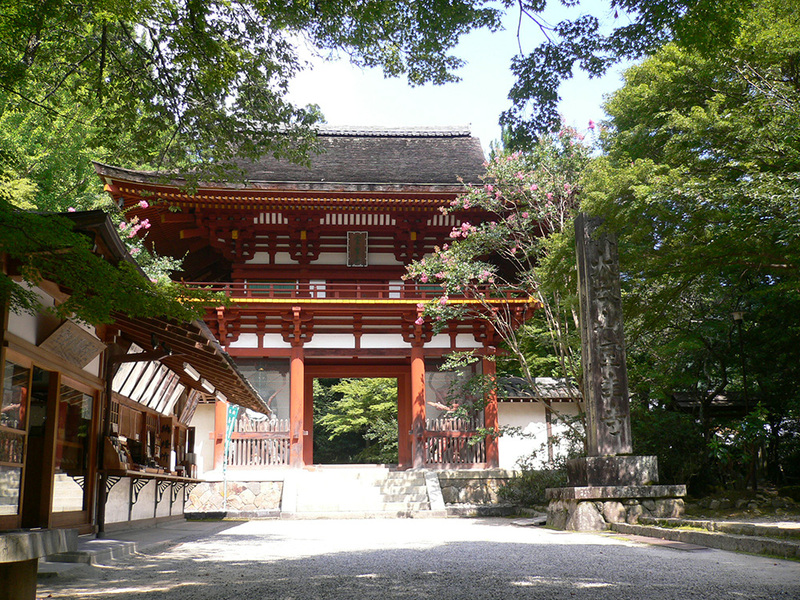 In the17th century Keishoin, the mother of the 5th Shogun, devoted to Buddhism and gave a generous donation to Murō Temple to restore its buildings, including the Kon-do Hall. 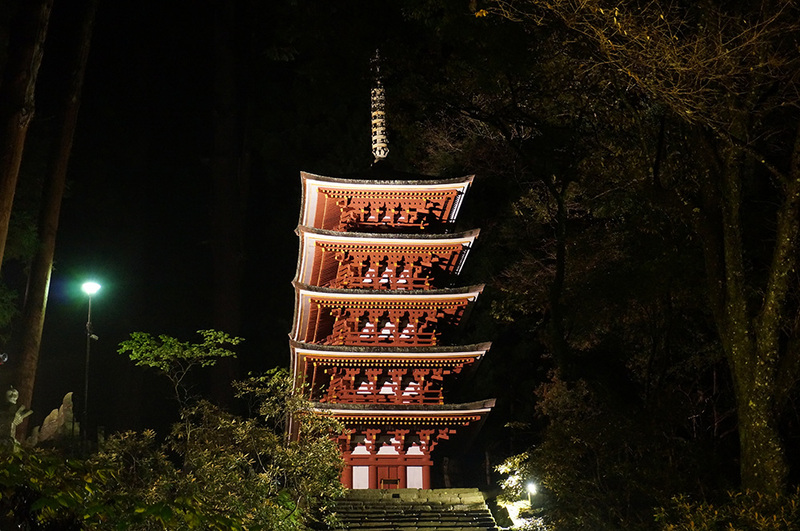 The five-storied pagoda is popular for its elegant appearance. 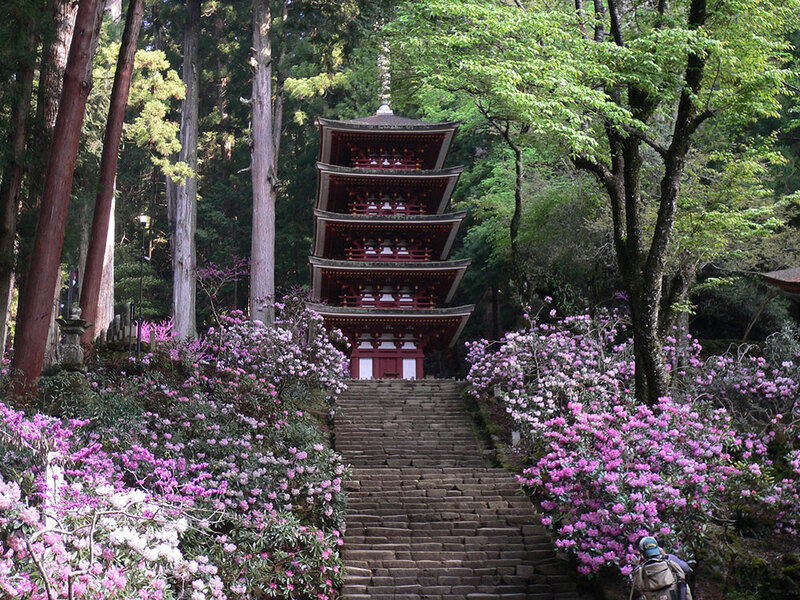 The 16 meter high pagoda is the smallest of its kind in Japan. 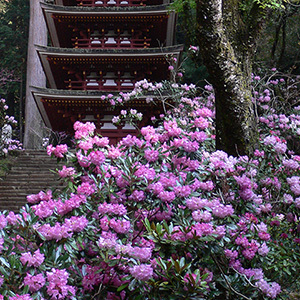 In 1998 a giant typhoon hit a large tree and the tree fell down and damaged the pagoda severely. 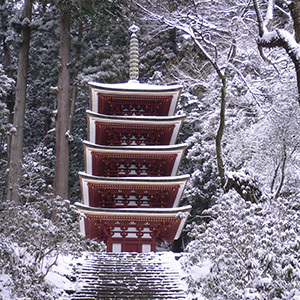 News reported the damaged pagoda which soon brought a lot of donations from throughout Japan and overseas countries. 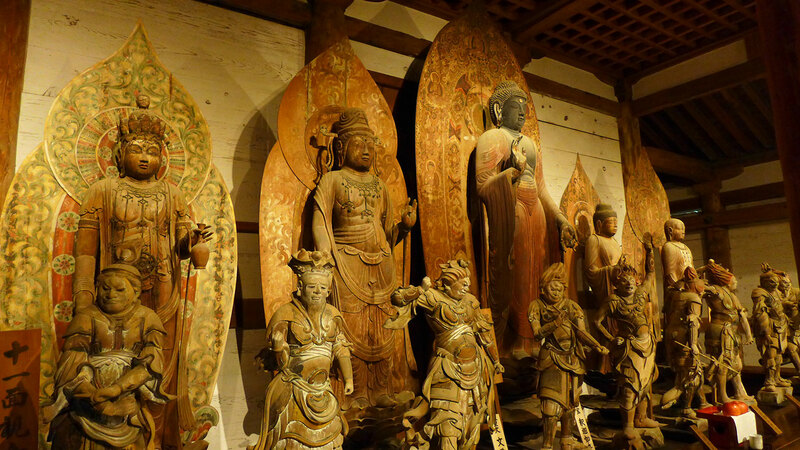 Not only from Buddhist groups but also Christian groups as well. 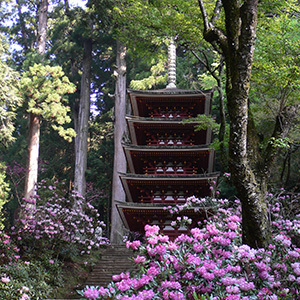 The love of people renovated the pagoda. 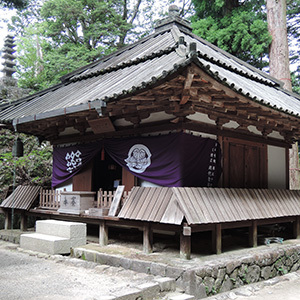 Kanjō-do Hall: Built in 1308, is a hall where an important ritual of Esoteric Buddhism takes place. 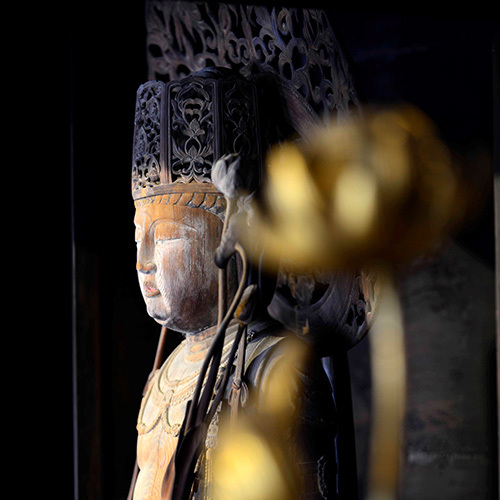 This seated Nyoirin Kannon with a gentle face is one of the best Nyoirin Kannon statuary in Japan. 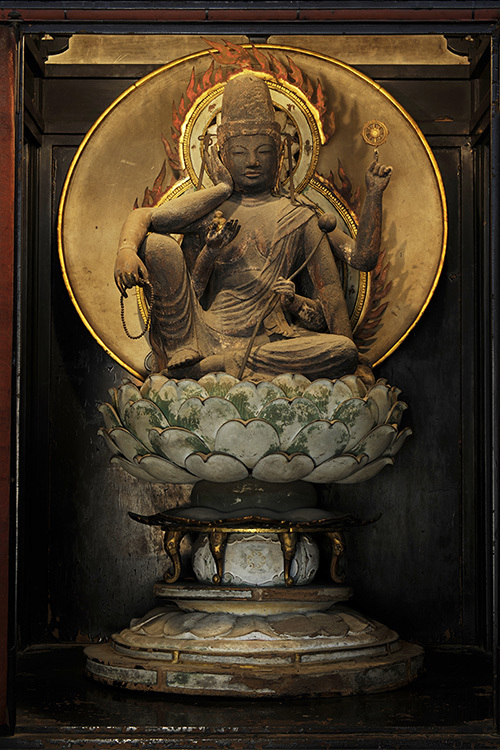 The statue has 6 arms each of them holding sacred objects such as a wish-granting jewel and a Dharma wheel which grant prayers for health, longevity and an easy childbirth. 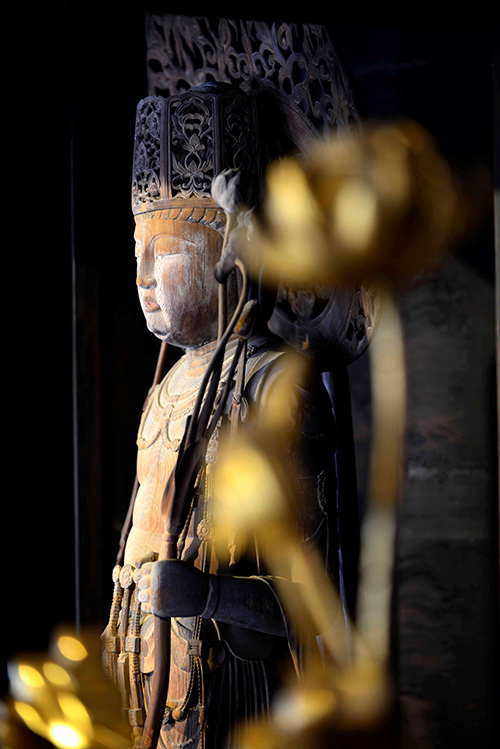 This Buddhist statue is one of the oldest statues in this temple. 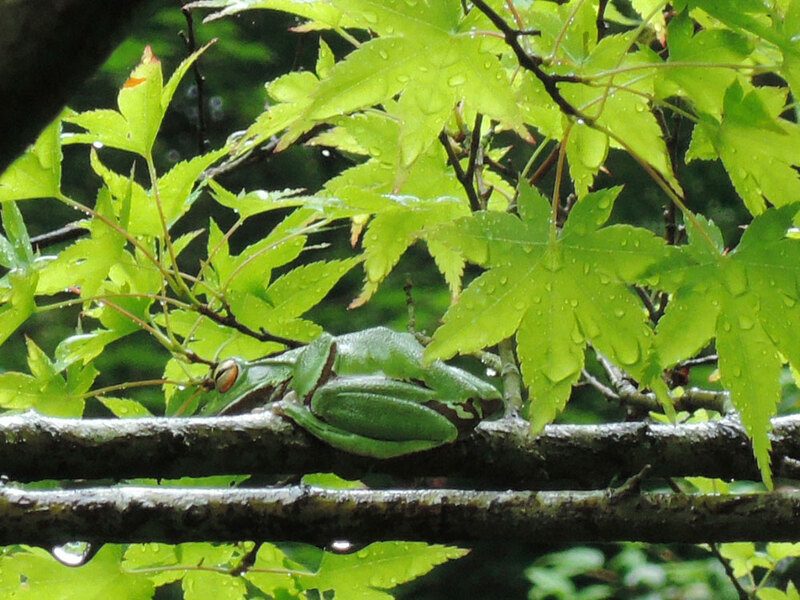 He has a relatively big head which looks child like.. 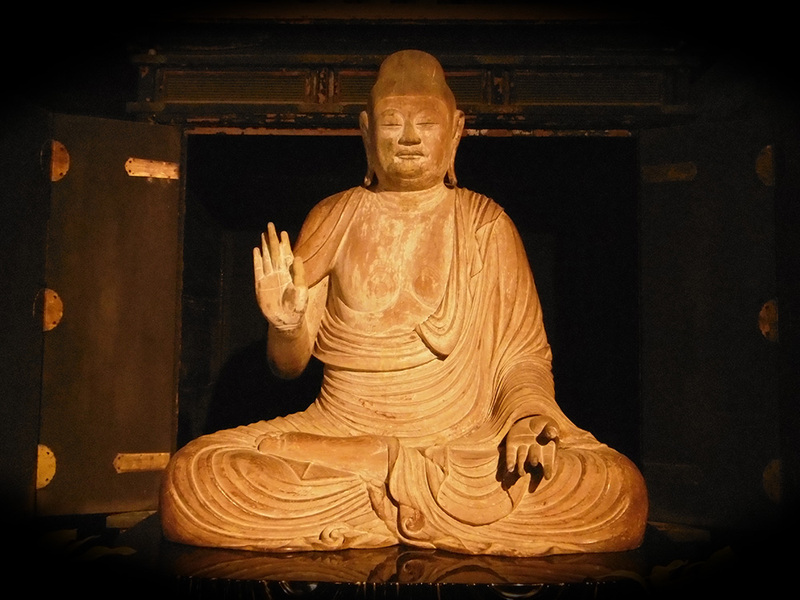 There is a seated Shaka Nyorai, next to the Miroku Bosatsu. 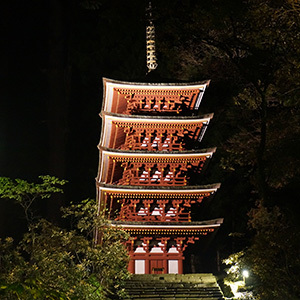 The Shaka Nyorai attracts devotion from those praying for good harvests, easy childbirth and their children to grow up healthy. 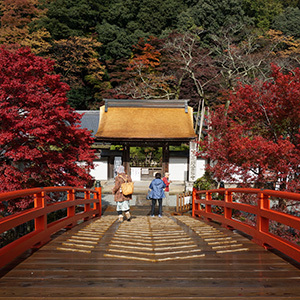 The bright vermilion gate was reconstructed in 1965 and has a pair of red and blue Niō guardians. 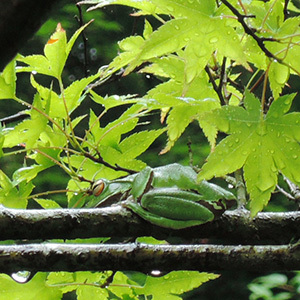 After passing through the gate there is a small pond in which rare green frogs spawning on inhabited trees. 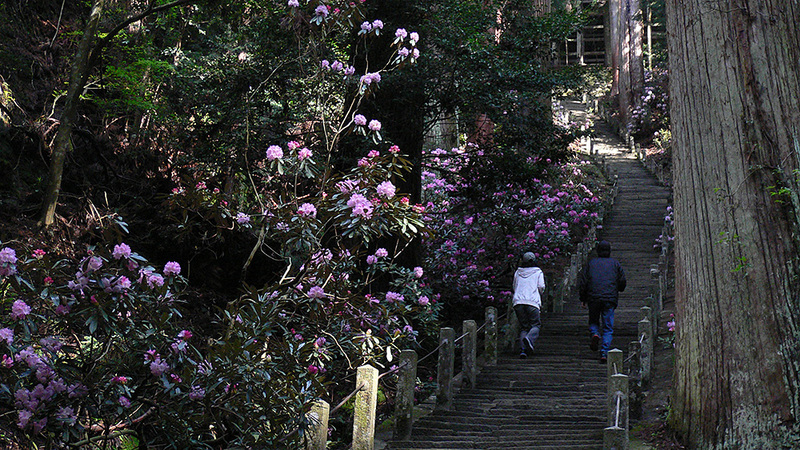 The stone stairs are surrounded by fresh green trees and pale pink rhododendrons in the spring. 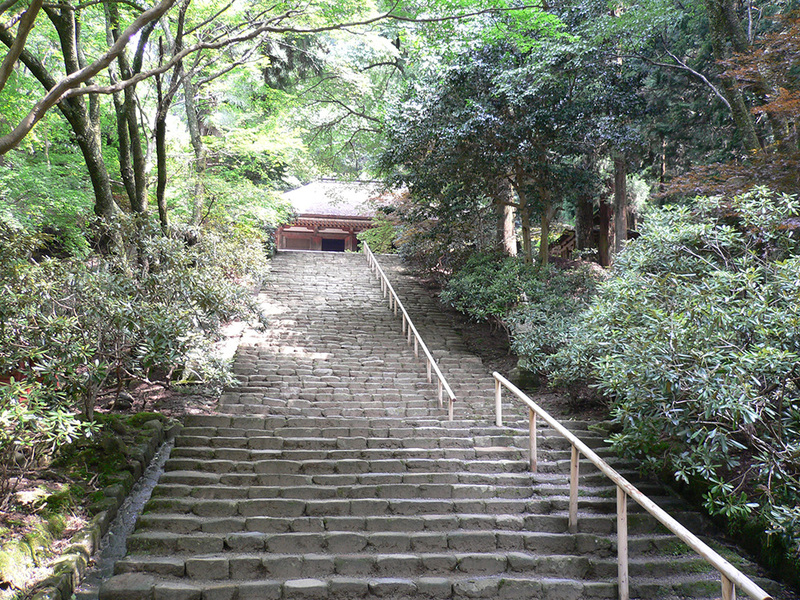 The scrupulously piled up stones look like an armor thus the stairs are called “Yoroi-zaka” (the Armor Hill”). 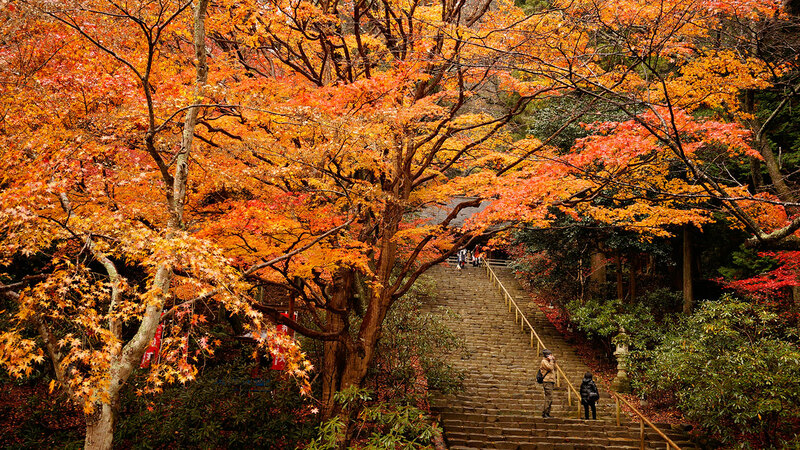 After climbing 700 steps from the gate you reach the Mie-do Hall. 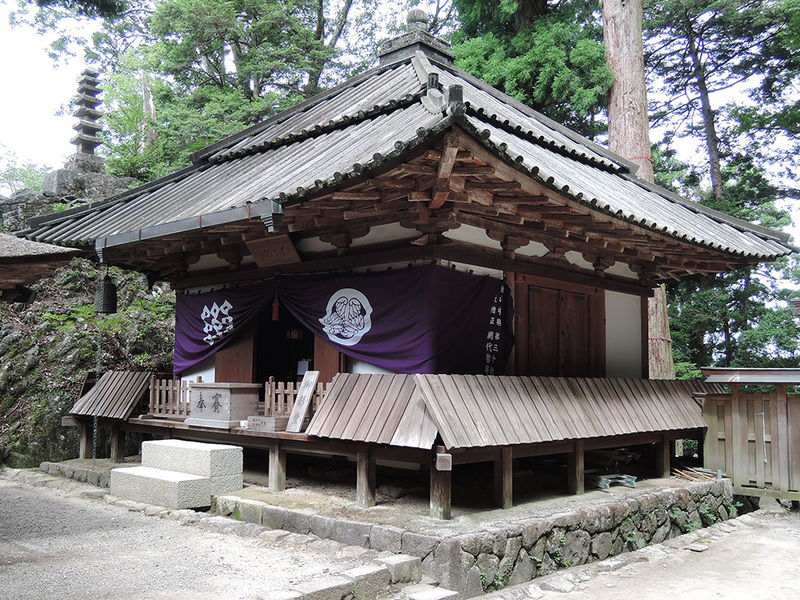 The Mie-do Hall dedicated to the image of Saint Kōbō Daishi that is open to public on the 21st of every month. 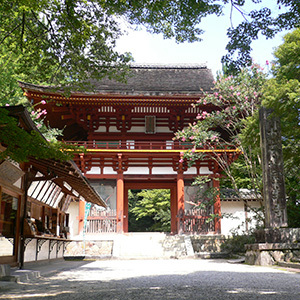 The “No Women Allowed” policy prohibited women from entering temples because it was considered that women disturbed monks’ training. 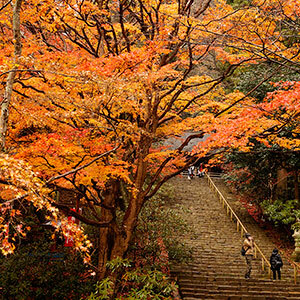 Women were not able to go inside of Mt. 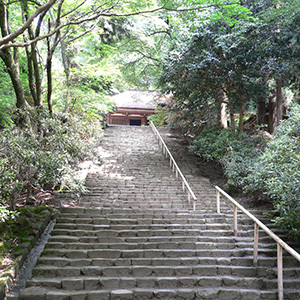 Kōya before the 20th century. 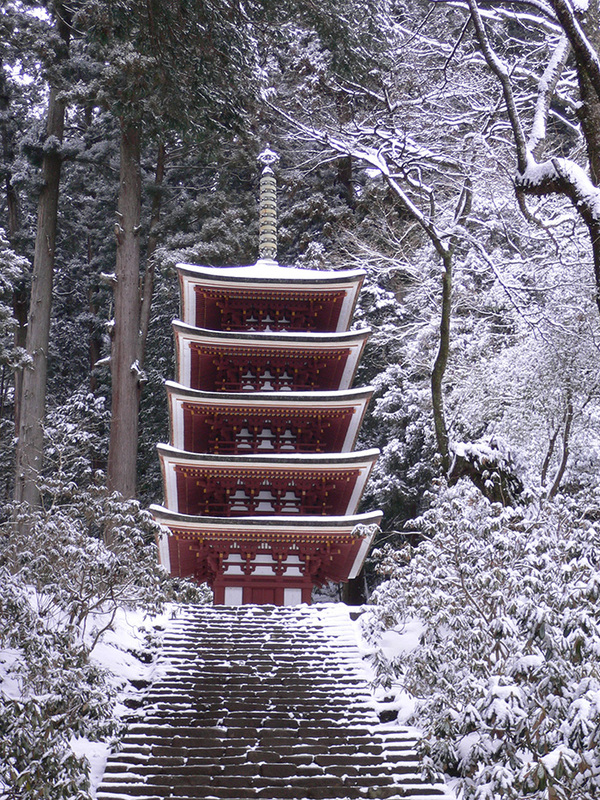 In a record of Murō temple, this temple began accepting female worshippers in the Kamakura Period (1185-1333). 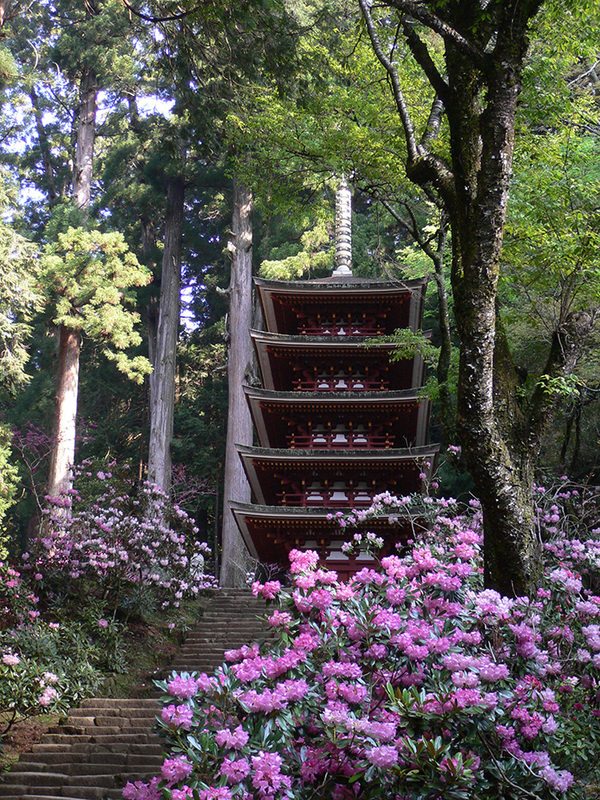 The generous donation of the Shogun’s mother, Keisyoin, made Murō famous as the “Women’s Koya, Murō Temple”. 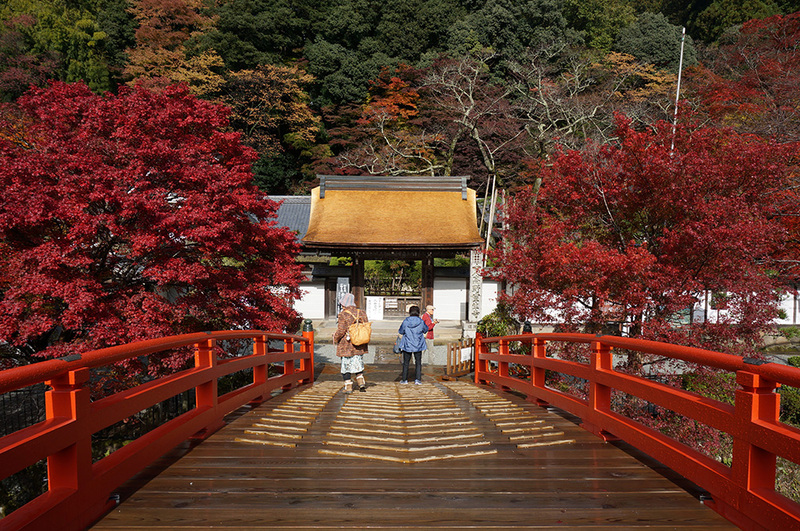 Even today about 80 percent of visitors to this temple are women.